Community is what I’m all about. Hello, my beautiful fiber community! That’s what I love, what I cheer on, what I want to foster. So I used to do a thing called “Community Thursday.” If you’ve been reading for a while, you may have seen it in action – a link round-up that touched on many things that I liked and recommended, plus fiber arts news and events as applicable. I loved doing it, but it was a lot of work. However, I really like nurturing the community that I’m in, and right now, I think we really need some nurturing. So before I get into anything else, I want to hear from you! Last week, I wrote about how I am personally feeling and dealing with the changes and shifts in the fiber business world, and the crafting world in general. I heard from a lot of y’all about your personal experiences in response to that post! I heard from shepherds, dyers, spinners, and a variety of other fiber artists. I also have been chatting with folks in other arts and crafts, and have heard much the same message there: times are hard right now. Things are slower. It’s not because people don’t value what we’re making. It’s just harder to justify spending on as many handmade objects and materials, it seems. My favorite bead shop in DC, Beadazzled, is closing its Dupont Circle location – I used to frequent the Baltimore location but that’s long gone, too. Soon the only one left will be the Falls Church VA location, and I fear that one won’t last either. This is where I would normally preach the “shop local and from small businesses/artisans” but you know all that. You already do it. The reality is that things are shifting. This is when community is REALLY important. This is where we have to band together to really help each other out, y’all. Go to a local fiber festival, yarn crawl, spin-in, trunk show. Buy stuff, tell your friends. Especially tell your friends if you can’t afford to buy stuff yourself. Repost/retweet/forward the email/tweet/post. Even if you think you won’t make a difference. You will. Join the Facebook groups and like/follow the Facebook and Instagram pages of your favorite fiber artists. Comment, like, share what they’re posting. It really helps. It gets us more traction online… and it helps us feel less alone, too. Another way I work to build community is to host a Tour de Fleece group every year! My team is called Team Nevermore, and we’re hosted in our own Facebook group. 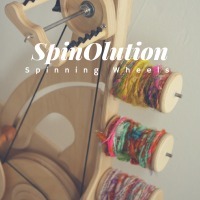 It’s a rowdy, irreverent group of spinners with a sprinkling of knitters, crocheters, weavers, and other fiber artists [as well as plenty of multi-craftual enthusiasts] – and I try to have challenges for the non-spinner as well as my twisted friends. I invite you to join up! It is free fun, you could win prizes, and you’ll meet a group of lovely fiber artists who will cheer on your efforts. TdF starts on July 7th, so get you to the group! In an effort to get more faces in front of my fibers and also to help get my other business, Urban Mystics, really kickstarted, I am using the new Instagram class that my friend Anne of The Moon Sisterhood has JUST put together! I was lucky enough to be a beta tester and let me tell you, this class is FULL of good advice, laid out in a very accessible and easy-to-use way. I am particularly in love with the workbooks, which she designs herself – they are beautiful as well as incredibly useful. Even better, for the launch of this, she’s offering a presale price of 50% off until Friday June 15th – I so highly recommend this to anyone who is running a small business and who wants to really use Instagram to be more effective. And if you’re looking to form an Instagram pod… hit me up, folks. I am IN. I wanted to take a moment to congratulate the amazing WoolWench aka Suzy Brown for her newest achievement: Assistant Editor of the Creative Fibre New Zealand quarterly Magazine! She is such an amazing powerhouse of energy and knowledge, a real community builder – and I can’t think of anyone better for a position such as this one. Congratulations, Suzy! This has made for some interesting fiber-related phenomena – like how the handspun yarn tassels on some of my small weavings are twisting with revived twist… or how my carded battlets are currently super puffy [like my hair some days]… also, all my yarn is exceptionally sheepy smelling right now. If you’re in one of the currently heavy rain zones, have you noticed any fibery shenangans? Thank you for reading, my friends. I’ll have some shop updates happening this week – I have a few small weavings, crocheted items, yarn, and more to photograph and then list for you. I’ll post on the Facebook page when that happens! The news about Beadazzled makes me sad. If you are looking for a good bead store in Baltimore, try ScrapBmore in Federal Hill. It’s a craft thrift store, and the bead selection is huge. (In fact there was just a giant bead and bead tool donation that will be going on the floor shortly.) Best part is that a lot of the beads come from no-longer-wanted stashes, and this store keeps ’em from going to the dump. Isn’t it such a bummer? I mean, there’s still the Falls Church store but that’s not that easy for me to get to, and I really appreciate how they curate their selection of beads. I’m glad you mentioned Scrap, though – I follow them on Facebook but haven’t made it over there yet, and this is a good push for me to get off my duff and do that! I love their concept – no craft supplies should ever be going to the dump, someone out there wants them! Absolutely! I’m a volunteer, and one of the best parts is watching kids come in and pick up things I wouldn’t normally consider craft supplies and get so excited. Straws, bottle caps, plastic bits, and baubles all go home to become some nifty things. It’s made me think much differently about what I can use to make things without buying new things. Another spot on post, and thank you so much for the shout out <3 My two cents worth as someone who offers educational content as an 'indie educator', I also find it very disheartening to see the big corporate style companies racing themselves to the bottom and winning.. they have the financial infrastructure to be able to offer 'free weekends' and 'half price courses' so frequently that I even see people online now casually mentioning waiting till there is a free weekend to watch a course. I am sure their subscriber income allows for giving away that content but as an 'indie' it is impossible to compete, and as an educator I think it devalues not only their own teachers skills and knowledge but everyone elses who is offering educational content as well! It is a model we are seeing more and more, and I think the only way to survive it is to stick together, strength in numbers! Individually we dont have the financial backing of a large corporation but we do have the power to support each other and have each others backs.